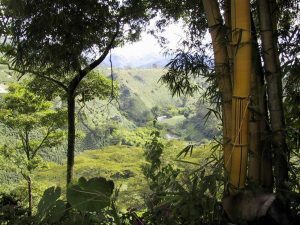 It was only a century ago that one of the oldest and most nutritious of human food crops began evolving into a global commodity, along the way becoming implicated in problems with genetic engineering, deforestation, and water pollution. In an engaging world history of soy, Christine Du Bois tells how the bean was gathered and eaten in Manchuria, in northeastern China, at least 9000 years ago, and has been domesticated for at least 5000 years. Ancient (or at least medieval) recipes include tofu (from China), the intriguing, heavily fermented temprah (from Indonesia) and soy sauce (from Japan, but sold in Britain by the 1600s). Henry Ford was one of the first to grasp the industrial potential of the crop and promoted it to make engine oil and plastics. His motor company was making plastic car parts from soy, and today we might have vegetal automobiles, had DuPont not created plastic from petroleum. DuPont’s plastics might have left American soy farmers with extra beans on their hands, if not for people like Gene Sultry, who started the first soy mill in Illinois in 1927, to crush the beans and extract oil (e.g. 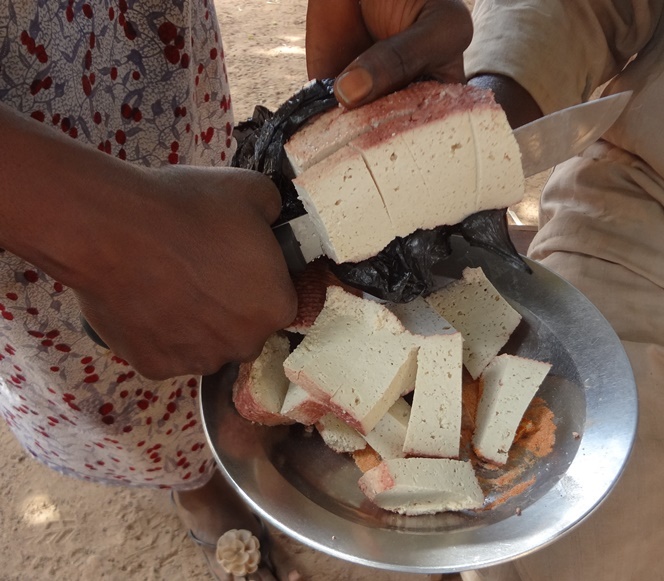 for margarine), leaving the crushed beans as animal feed. Sultry travelled the midwestern US with a six-car soy information train, complete with a lecture hall and two theater cars, where farmers watched films explaining how and why they should grow the new crop. In one of the ironies of post-World War II economics, the USA began exporting large quantities of soy back to its Asian center of origin, first as relief food, but soon Japanese farmers learned to factory farm chickens and pigs on the US model, and feed them with imported, American soy. This important new trade was upset by Richard Nixon, who in 1973, in the face of rising food prices, briefly banned the export of soy. This startled the Japanese into seeking supplies elsewhere. They began to support the research and development of soy in Brazil, a country that previously grew very little soy. 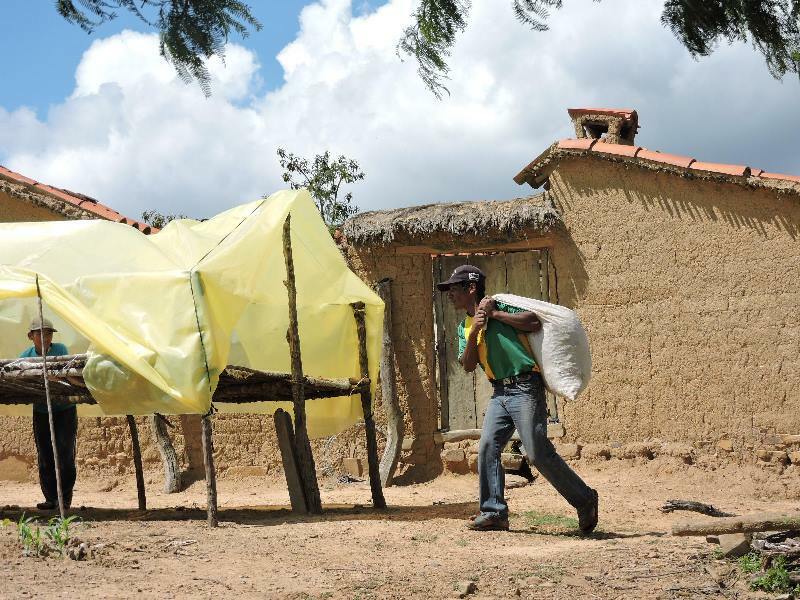 The Japanese and Brazilian researchers were soon breeding locally adapted varieties and learning how to add lime to acidic soils, so that the dense forests of Mato Grosso could be felled for soy. The crop soon spread to neighboring Argentina, Paraguay and Bolivia. This vast soy-producing area in South America is the size of a large country, and is sometimes sarcastically called “the Republic of Soy”. 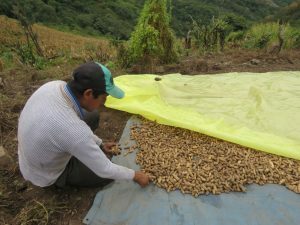 Besides habitat destruction, soy displaced native peoples and smallholders as industrial farmers moved onto their land, sowing thousands of hectares. 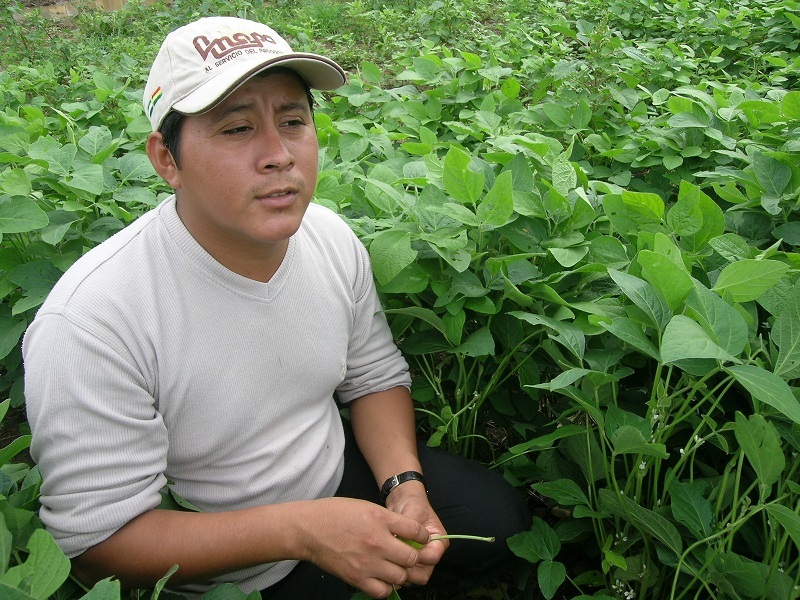 Soy can, of course, be grown by smallholders; Eric Boa and I were fortunate enough to visit some family farmers in 2007 who were happily growing soy on 20 to 30-hectare plots in Bolivia. It is the large scale of soy that shows its nastier side. The bean has been genetically modified to make it resistant to Monsanto’s herbicide Roundup (glyphosate). Almost all soy now grown in North and South America is genetically modified. Runoff from chemical fertilizer has created a large, dead zone in the Gulf of Mexico. In the midwestern USA, soy-fed pigs create mass amounts of liquified manure that builds up in “hog lagoons”, frequently spilling over into rivers. The logical solution would be to use the manure as fertilizer, cutting back on chemicals, but this would entail keeping water out of the manure while cleaning barns, and then hauling the organic fertilizer over long distances. The US government subsidizes the insurance industry to the tune of $30 billion a year, buffering American soy farmers from risk—a type of farm welfare that benefits those with the most soy, and the most land. These subsidies depress the world price for soy, making it harder for farm families in Africa and elsewhere to get the best prices for their soy. Yet soy is a versatile food crop that can be made into thousands of tasty and nutritious dishes. It fixes nitrogen from the air, allowing less use of chemical urea as fertilizer. It can be grown profitably by smallholders, if they are protected from land-grabbers, and if governments do not subsidize large-scale farmers. Brazil is now making efforts to limit further deforestation for soy. Other steps could be taken to rationalize soy’s fertilizer cycle and alternatives for weed control. A crop which has been implicated in so much damage could still be farmed and eaten in environmentally sound ways. Du Bois, Christine M. 2018 The Story of Soy. London: Reaktion Books. 304 pp. Industrial agriculture has so damaged our farmland that the survival of future generations is at risk, reveals Professor Emile Frison in his report “From Uniformity to Diversity”, but there is a way forward. Frison’s conclusions are staggering. The indiscriminate use of synthetic fertilisers has destroyed the soil biota and its nutrient-recycling potential. 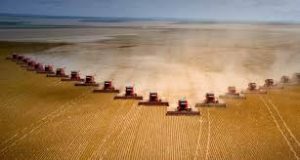 The combination of monocultures with highly mechanized farming and fertiliser abuse has caused historical land degradation on over 20% of the Earth’s agricultural land. High yielding varieties and abundant chemical inputs increased global crop yields in the early decades of the “green revolution”, but by now the sobering figures indicate that productivity in 24% to 39% of the areas growing maize, rice, wheat and soya bean has stagnated or collapsed. The productivity of industrial agriculture has systematically degraded the environment on which it relies. The use of pesticides in agriculture has caused a global decline in insect pollinators, threatening the very basis of agriculture. Some 35% of global cultivated crops depend on pollination by insects. Pests, diseases and weeds are adapting to chemical pest management faster than ever. Genetically modified soya bean and maize that are herbicide-tolerant have led to an indiscriminate use of glyphosate-based herbicides such as Roundup and 2,4D. Some 210 species of weeds have now evolved resistance to herbicides. Clearly, this flawed, industrial model has mainly benefitted corporate interests and the wealthiest farmers. Of equally great concern to our future generations, industrial agriculture significantly reduces the agrobiodiversity of livestock and crops. 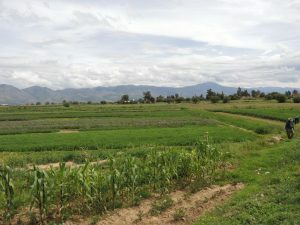 Underutilized or minor crops such as indigenous leafy vegetables, small-grained African cereals, legumes, wild fruits and tree crops are disappearing in the face of competition with a limited number of industrially produced varieties of rice, maize and wheat. Greenhouse gases, water pollution, over-exploited aquifers, soil erosion, loss of agrobiodiversity and epidemics such as the Avian influenza and the foot-and-mouth disease are all signs that we need to urgently re-think the way we produce, source and consume food. A study covering 55 crops grown on five continents over 40 years found that organic agriculture was significantly more profitable (22–35%) than conventional agriculture. In developed countries, yields of organic agriculture were 8% lower than conventional agriculture, but they were 80% higher in developing countries where the negative impacts of industrial agriculture on food and nutrition security are felt much stronger. So, diversified systems have shown the capacity to raise productivity in places where additional food is desperately needed. Yet corporate lobby groups, some donors and development agencies continue to push governments towards unsustainable production models. In many developing countries, the general switch towards specialized, export-oriented systems has eroded the diverse farming economy, causing a gradual loss of local food distribution systems. With rapid shifts in global and regional competitiveness this has destabilised national food supply, not only jeopardising the very livelihoods on which rural people depend, but also putting the economic and political stability of developing countries at risk. Ethical labels, such as Fairtrade, ensure that farmers in developing countries get more money for their produce, while at the same time ensuring social and environmental services are ploughed back into the rural communities, as explained by Nicolas Lambert, CEO of Fairtrade Belgium. Emile Frison, and other outstanding scientists like Professor Olivier De Schutter, former UN special rapporteur on the right to food, have joined forces in the International Panel of Experts on Sustainable Food Systems. There is indeed an urgent need to alert policy makers to the high risks related to short-term thinking and concentration of power in the hands of fewer, large-scale retailers and corporate agri-businesses. It is re-assuring that eminent people have joined forces to protect global biodiversity and farmers’ rights to seed as key requirements for food systems that respect the farmers and their environment. The opponents are powerful, and motivated by greed, so the struggle is bound to be a long one. I was at home in Bolivia when I got a surprise call from southern Africa. “I’m a chilli farmer in Malawi; you’ve been to my house,” said the confident voice on the other end, before the caller ran out of credit and the faint, crackling connection was suddenly cut off. But the caller, Lester Mpinda, was not easily discouraged. In the time it takes to walk to the village shop and buy a scratch card, he was back on the phone. “I’ve made a lot of profit from chilli,” he said. Then the call was cut off again. I remembered Mr. Mpinda well. 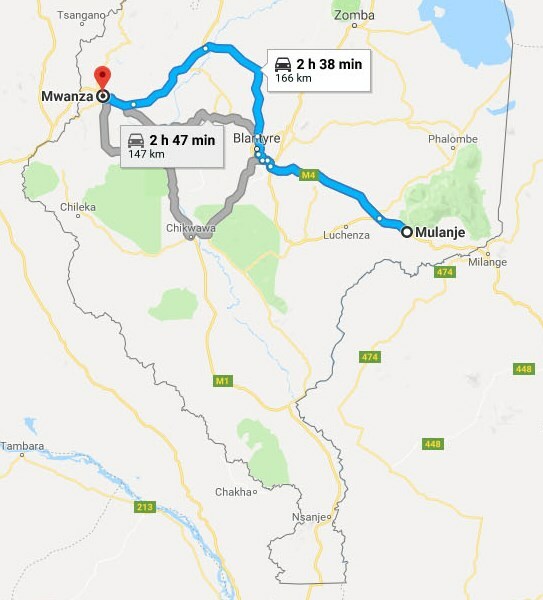 Malawian media expert Ronald Udedi and I had visited Mr.Mpinda’s garden in September of 2016, in Mwanza, southern Malawi, where he showed us how he had started growing local chillies from seed he bought in the market after watching the videos on a DVD. I wanted to learn more, but the phone connection was too poor to chat. Instead, I contacted my friend Ronald on social media and asked him to find out more. Ronald filled me in on the rest of Mr. Mpinda’s story. Shortly after our visit to his farm in 2016, Ronald and I made a short video on Mr. Mpinda. Access Agriculture then invited Mr. Mpinda to share his story at a meeting with partner organizations in Lilongwe, the capital city of Malawi. I couldn’t attend, but I was a little apprehensive about the outcome, thinking that the event might distract Mr. Mpinda from his everyday work on the farm. I couldn’t have been more wrong. At the meeting, Mr. Mpinda met Mr. Dyborn Chibonga, then the head of Nasfam (National Smallholder Farmers’ Association). Mr. Chibonga put Mr. Mpinda in touch with the nearest Nasfam extension agent in Mulanje, who later visited the farm and gave Mr. Mpinda some seed of bird’s eye chilli, the variety used to make tabasco-style hot sauce. The slender red bottles of hot sauce are a common sight on Malawian tables and the dried chilli is exported to food-makers in Europe and elsewhere. Chilli seed is really small, and a little bit goes a long way, so Mr. Mpinda decided to share his generous gift from Nasfam with his neighbors. Mr. Mpinda started a chilli club with 12 members, of whom eight were women. He showed the club members how to plant the chilli, gave them seed, and once or twice a week he invited the club to his home to show them the chilli videos in Chichewa, the local language. 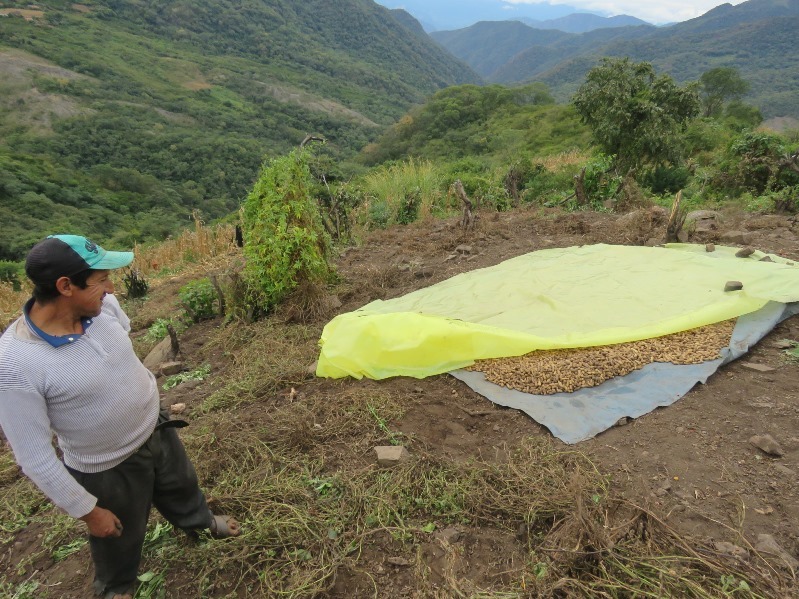 Each member learned more about growing and drying this crop, which was entirely new to them. The club members created a chilli demonstration garden, where they tried out what they saw in the videos. 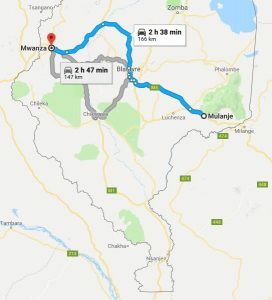 When the club had a stock of dried chillies, they phoned the Nasfam extension agent, who came from Mulanje, where Nasfam has a factory for making hot sauce. 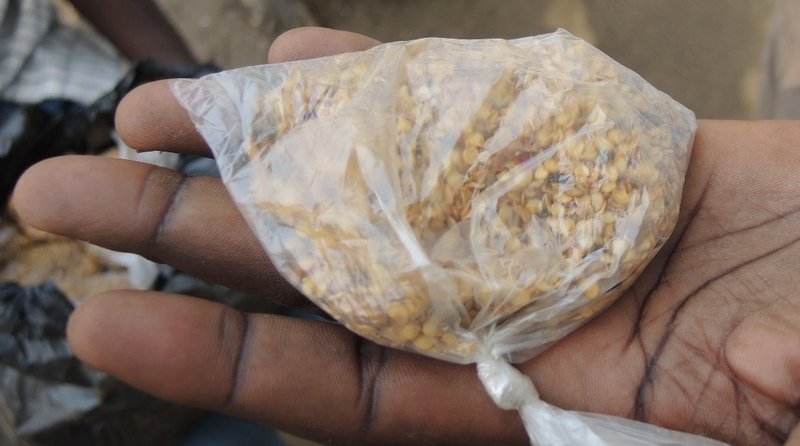 The agent bought 160 kilos of chilli from the individual club members, paying 2,500 Kwacha ($3.50) per kilogram, twice the price of tobacco which is number one export crop. The Nasfam agent left more seed. Other friends and neighbors who heard of this success asked to join the club. Mr. Mpinda graciously welcomed them and now there are 80 members growing chilli and learning about the crop from the videos. As Ronald puts it, “the most important thing (that started this new enterprise) was the DVD with the chilli videos. 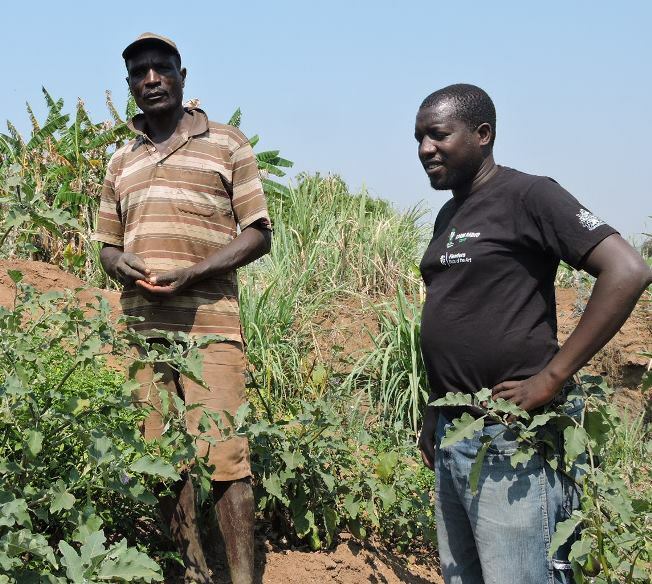 Mr. Mpinda and his friends watched it to learn about everything, from taking care of the nursery beds to transplanting and harvesting.” The videos meant that farmer didn’t have to rely on visits from extension agents, whose time and travel budgets are limited. For many years only one company, NALI, made hot sauce in Malawi, but now there are over 10. 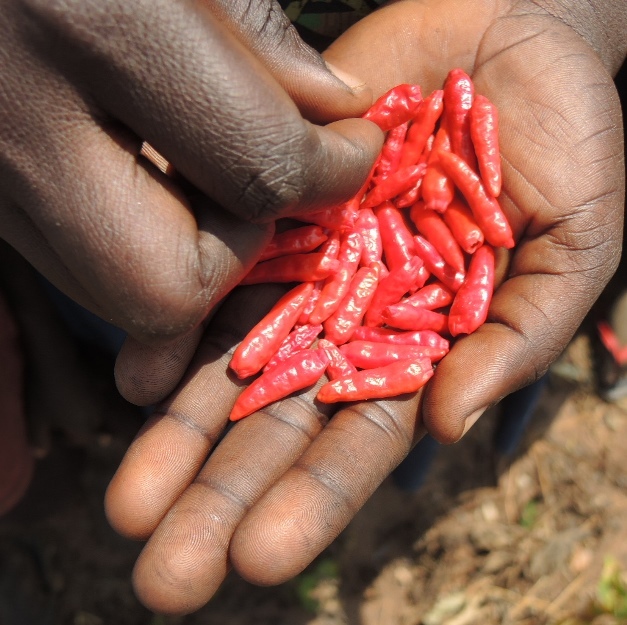 Malawi is now enjoying a kind of chilli boom. 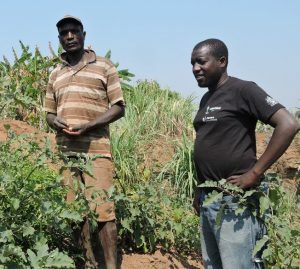 Mr. Mpinda’s story shows that smallholders can independently identify and respond to market openings. 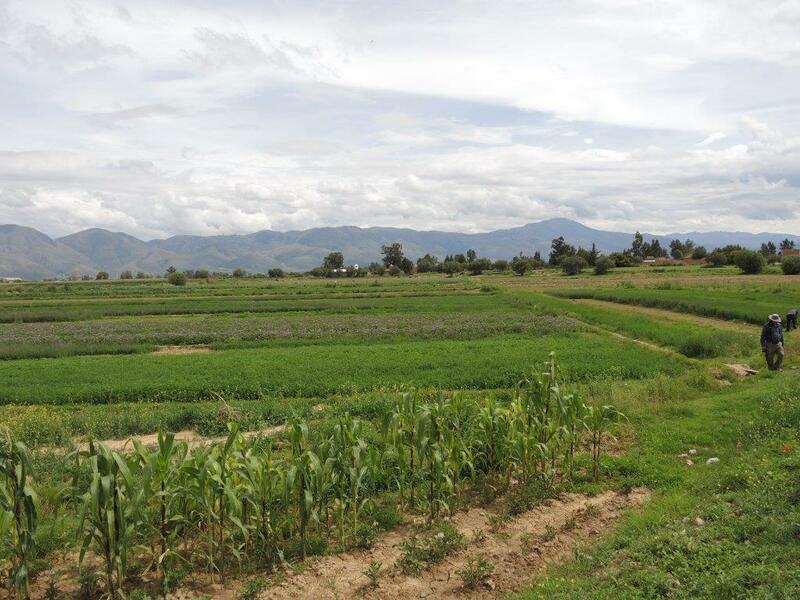 Peasant farmers are always open to new opportunities and eager to try useful innovations. I have no idea how long the chilli boom in Malawi will last, but agriculture will never go out of style. As long as smallholders have buyers, seed and good information, they will be able to market quality produce. A law can have unintended consequences, as I learned recently at the national meeting of “Prosumidores” (producers + consumers) held in Cochabamba, Bolivia. This was the second annual meeting, to promote healthy, local food and family farming. The meeting brings together farmers and concerned consumers, and it was held in a grand old house in the city center. 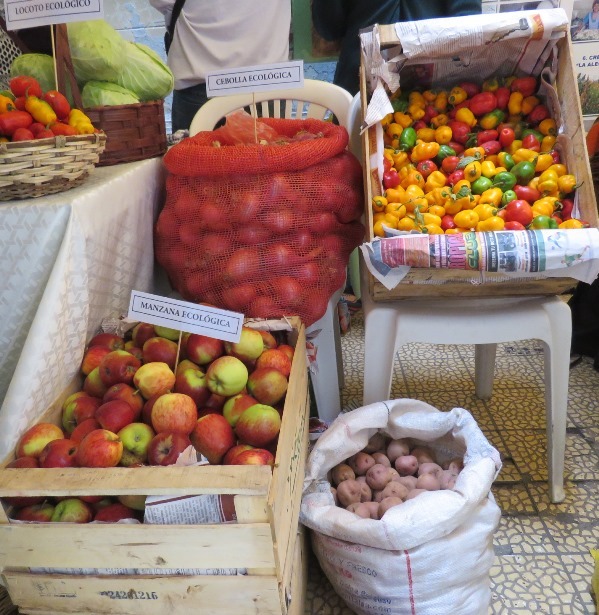 Half a dozen groups of organized farmers sat at tables in the entrance way, selling fresh chillies, local red apples, amaranth cookies, and some delicious whole wheat bread, little flasks of apple vinegar, among other unusual and wonderful products. A few had labels, but none had a list of their ingredients or nutritional qualities. When the presentations started in the main room, most of the farmers stayed outside where potential customers were still looking at the goods. Inside the large hall, one of the talks was by a government lawyer. She gave a helpful explanation of law 453, on the consumers’ food rights, signed in 2013. And while it has been the law of the land for four years, many consumers are unaware of it. Law 453 is a complex piece of legislation which aims to promote safe and healthy food and includes interesting bits such as “promoting education about responsible and sustainable consumption.” But the lawyer caught the most attention when she explained that the law required all food to have a label, listing the ingredients and the nutritional characteristics of the food. There was a moment of stunned silence, because it was true. Few smallholders can design and print a label listing the nutritional qualities of their products. (For example, I bought some fresh, delicious whole-wheat bread at the meeting. Many people could write a list of ingredients in a home-made product like bread, but would not know how to list the calories or other nutritional qualities of the food). The more food is regulated, the more difficult it will be for small producers to meet well-meaning standards. At this event, lawyer was unable to answer the storekeeper’s question. It seemed as if no one had noticed the potential legal difficulties for smallholders (even organized ones) to sell packaged food. This law was written to keep consumers safe, and it was certainly never intended to prevent smallholders from selling their produce directly to consumers; organized peasant farmers are a key constituency of the current government. The anti-smallholder bias was simply an unintended consequence of the law, a bit of thoughtlessness. In Bolivia many people still sell food on street corners and in open air markets. Bolivian laws are often statements of high ideals, but enforcement can be light, which in this case is a blessing in disguise. This law may yet have time to evolve so that it protects farmers as well as consumers. Una ley puede tener consecuencias imprevistas, como aprendí recientemente en la reunión nacional de “Prosumidores” (productores + consumidores) celebrada en Cochabamba, Bolivia. Esta fue la segunda reunión anual para promover la comida saludable y la agricultura familiar local. 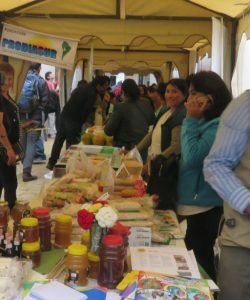 La reunión reúne a agricultores y consumidores interesados, y se llevó a cabo en una gran casa antigua en el centro de la ciudad. Media docena de grupos de campesinos organizados se sentaron en mesas en la entrada, vendiendo ají fresco, manzanas rojas locales, galletas de amaranto y un delicioso pan de trigo integral, pequeños frascos de vinagre de manzana, entre otros productos inusuales y maravillosos. Algunas tenían etiquetas, pero ninguna tenía una lista de sus ingredientes o de sus cualidades nutricionales. Cuando las presentaciones comenzaron en la sala principal, la mayoría de los agricultores se quedaron afuera, donde los clientes potenciales seguían mirando los productos. Dentro del gran salón, una de las charlas fue realizada por una abogada del gobierno. Dio una explicación útil de la Ley 453, sobre los derechos alimentarios de los consumidores, firmada en 2013. La ley si tiene cuatro años, pero muchos consumidores no la conocen. La Ley 453 es una ley compleja que tiene como objetivo promover alimentos seguros y saludables e incluye elementos interesantes como ” informar o difundir programas de educación en consumo responsable y sustentable”. Pero la abogada más llamó la atención cuando explicó que la ley exigía que todos los alimentos tengan una etiqueta, con los ingredientes y las características nutricionales de los alimentos. Fue entonces cuando una mujer perspicaz de la audiencia se levantó para hacer una declaración. “Estoy abriendo una tienda para vender alimentos agroecológicos, pero si yo sigo estrictamente a esta ley no podré comprar productos de como de las personas que están vendiendo justo afuera de esta puerta”. Hubo un momento de silencio atónito, porque era cierto. Pocos campesinos pueden diseñar e imprimir una etiqueta que enumere las cualidades nutricionales de sus productos. (Por ejemplo, compré un pan fresco y delicioso de trigo integral en la reunión. Muchas personas podrían escribir un listado de los ingredientes de un producto casero como el pan, pero no sabrían cómo enumerar las calorías u otras cualidades nutricionales de la comida). Cuanto más se regulen los alimentos, más difícil será para los pequeños productores cumplir con esos estándares bien intencionados. En este evento, la abogada no pudo responder a la pregunta de la mujer que abriría una tienda. Parecía que nadie había notado las posibles dificultades legales para los pequeños agricultores (incluso los organizados) para vender alimentos empaquetados. Esta ley fue escrita para la seguridad de los consumidores, y por supuesto nunca pretendió evitar que los pequeños productores vendan sus productos directamente a los consumidores; los campesinos organizados son un electorado clave del gobierno actual. El prejuicio contra los pequeños propietarios era simplemente una consecuencia involuntaria de la ley, un poco irreflexiva. En Bolivia, mucha gente aún vende alimentos en las esquinas de las calles y en mercados al aire libre. Las leyes bolivianas a menudo son declaraciones de altos ideales, pero la aplicación de la ley puede ser leve, lo que en este caso es una bendición disfrazada. Esta ley aún puede tener tiempo de evolucionar para proteger tanto a los agricultores como a los consumidores.